PREACHING SERMONS THAT WORK FROM ROMANS 13 is a sermon about servicing the debt of love. This sermon is an expository sermon of Romans 13:8-10. This sermon points out the fact that we all need love. We all need to be loved. We all need to feel the acceptance and love of others. 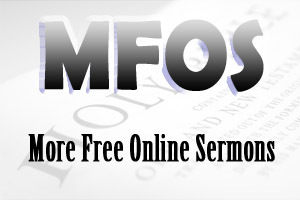 Preaching Sermons That Work From Romans 13 is an expository sermon from Romans 13:8-10. This sermon encourages us to service the debt of love. In other words, as Christians we should show love continually to others. A young sailor called his parents after his release from the military service. He said he was bringing his buddy home to stay with him. “You see, Mom,” he said, “My friend is pretty badly broken up. He was severely wounded and has only one leg, one arm, and one eye.” After a little reflection, the mother said grudginigly, “Of course, Son, I guess he can stay with us a little while.” Her voice, however, carried the message that they would not like to be burdened very long with such a severely handicapped fellow. Although this is a fictitious story; nevertheless, the point that the writer makes is very clear. All he needed was love...someone to love him. There are three reasons why we (as Christians) should service the debt of love. The debt of love is not like other debts that we incur. You may purchase a car and incur a debt, and over the next 48 months you have to pay it off. When you pay that last payment, your debt is discharged. Rusty Welborn was a pitiful man. His childhood was a horror story. He was destitute, neglected, abused, and given no incentive to achieve in life. He was a street kid, a grubby, little street kid. Well, Rusty grew into an adult and found himself on death row for murder. Bob McAlister was a Christian and duty chief of staff to South Carolina’s governor. Bob had the opportunity to meet Rusty on death row and he decided to show kindness to him. It took weeks for Rusty to respond to Bob’s kindness and love. In time, Rusty became a Christian and sought God’s forgiveness for his crime and the forgiveness of those he wronged. Bob continued his reading, and after a few minutes Rusty grew very still. Thinking he had fallen asleep, Bob placed a blanket over him and closed the Bible. As he turned to leave he felt a strong compulsion to lean over and kiss Rusty on the forehead. A short time later, Rusty Welborn was executed for murder. A woman assisting Rusty in his last moments shared this postscript to his story: As he was being prepared for his death, Rusty looked at her and said, “What a shame that a man’s gotta wait till his last night alive to be kissed and tucked in for the very first time. May we never stop servicing the debt of love! May this story encourage us to never stop! If we love our neighbor, we will not commit adultery! If we love our neighbor, we will not kill! If we love our neighbor, we will not steal! If we love our neighbor, we will not bear false witness! If we love our neighbor, we will not covet! If we love our neighbor, we will not sin against him. The debt of love is a practical debt. Love is not something we simply talk about but something we express because love is patient, kind, does not envy, does not boast, is not proud, is not rude, is not self-seeking, is not easily angered, keeps no record of wrongs, does not delight in evil but rejoices in the truth, always protects, always trusts, always hopes and always perseveres. R-r-ring. Was that the doorbell? I looked at the clock. Five-thirty A.M. Who could be ringing our manse doorbell this early? Elaine thought. My husband roled out of bed and went to the front door. I heard a mumble of voices, and then he returned. “Honey, could you get up? A hungry tramp needs some breakfast.” I groaned. Not only was it black as night outside, I knew our refrigerator looked like Mother Hubbard’s cupboard. I scrambled out of bed, threw on my bathrobe, and headed for the kitchen. There, in a chair int he corner, sat the most pitiful piece of humanity I’d seen in years. A tatered felt hat hid his eyes. An old scarf covered the rest of his face. His long, ragged coat dragged the floor. I opened the refrigerator and found some bacon and some eggs. As I opened the package of bacon, I glanced again at the man. He still sat bundled up, shaking with cold. Maybe this is one of the least ones Jesus said we should befriend. You couldn’t get much more least than this one. I turned back to the stove and laid the bacon in the skillet. It sizzled as it hit the hot pan. This was probably the first good meal this old fellow had had in awhile. I prayed for him silently as I concentrated on turning over the bacon. All of a sudden, the man in the corner leaped from his chair, ran toward me, and threw his arms around me. “Mum!” he yelled, as he threw off his hat and scarf. My heart pounded with fright, then relief, then laughter, as I looked into the mischievous eyes of my son who was supposed to be away at college in Kansas City, not posing as a tramp in Indiana. “You passed the test, Mum,” he said. I wonder, would we past the test of love if someone did that to us. Love is a practical debt. The ‘love’ that Paul is referring to here is no ordinary love. This love is agape love: a deep, unselfish, supernatural love. As William McDonald said, “It is impossible for an unconverted person to manifest this divine love. In fact, it is impossible even for a Christian to demonstrate it in his or her own strength. It can only be exhibited by the power of the indwelling Holy Spirit. This agape love is a noble debt...a debt that we would want to pay at anytime, anywhere, to anyone. When we love in a practical way, we service a noble debt - the debt of love.